This Park Trace home with a fabulous outdoor living space; private, fenced back yard could be yours. This 4 bedroom 2.5 bathroom home, with hardwoods on the main level, has a full basement ready for your finishing touch. 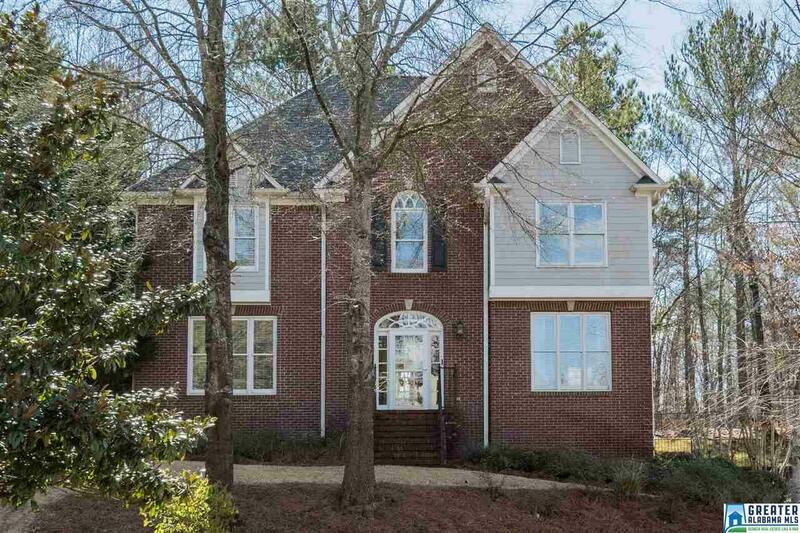 Main level features beautiful archways throughout; formal dining room w/trey ceiling; large great room w/ bump out space that would make a great office (w/French doors); half bath, laundry room & kitchen w/ spacious eating area. The kitchen features granite counter tops; island w/ extra storage; stainless appliances including a commercial size, gas oven and hood. Upstairs you will find a large master bedroom with a double trey ceiling; a spacious walk-in closet. The bathroom has his/her separate vanities, a jetted tub and a frame-less shower door. BD -2 has direct access to the hall bathroom and a large walk-in closet. BD-3 is extra large w/bright windows; BD-4 has a vaulted ceiling. The screened porch w/vaulted ceiling, will be your favorite spot.